Elbert Hubbard and his Roycrofters were one of the most influential aspects of the American Arts & Crafts Movement. Hubbard founded the Roycroft Press in 1895, and by the turn of the century, the varied and eclectic group of artisans and celebrities who flocked here had transformed the small town of East Aurora, New York, into a world-renowned Utopian crafts community. In this volume of over 200 images, you will experience the Roycroft campus as never before, viewing rare images of the people who made the Roycroft dream a reality. Discover their many contributions to the area's progress and see examples of their creations, from handmade books to intricate metal works and rare furniture. 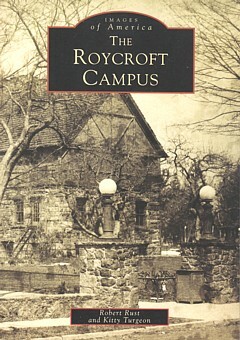 All of the 14 buildings that now comprise the National Historic Landmark Roycroft Campus have been documented in original photographs and from postcards, promotions, and their own publications; many appear within these pages for the first time in book form. The Roycroft continues to be one of the most prominent areas of international Arts & Crafts Revival. After an extensive restoration following the community's centennial in 1995, the Roycroft Inn has reopened, and the area has once again become an artistic and, now, historic mecca for visitors from all over the world.